Do you want to improve your French conversation skills? 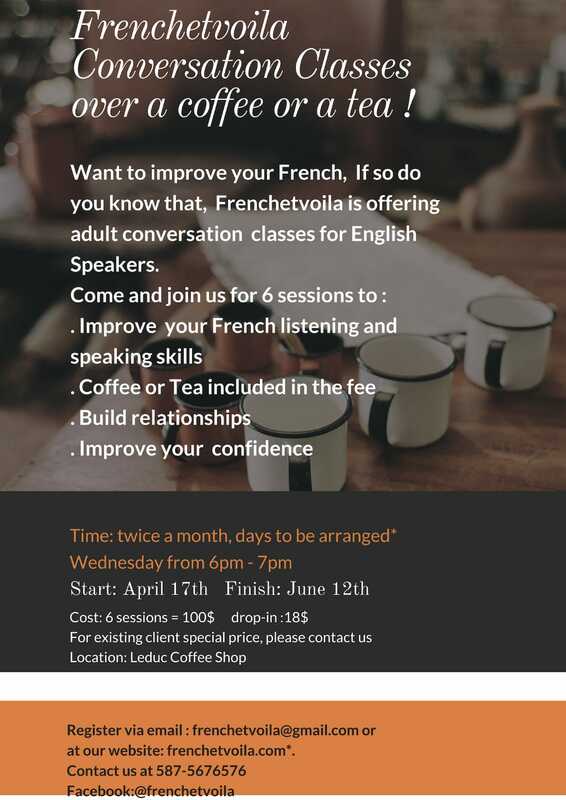 Join our coffee and conversation French classes, starting April 17th. Call (587)567-6576 today to reserve your spot!